I’m putting on the finishing touches for GIG. It’s been a six-year odyssey as I originally wrote a memoir of my musical experiences for friends and family, and then decided that with refinement the story could be an epic “Forest Gump-like” walk through the turbulent musical sixties. How hard could this be? Given that this novel is roughly 130,000 words, and I rewrote it six times, I now have fingers that are slightly shorter as I hammered out almost one million words. It was worth it. Stay tuned as GIG nears completion this spring. 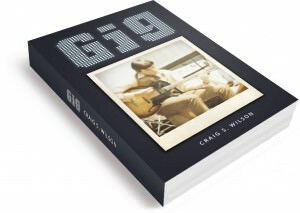 If you like teen romance, historical sixties, and a wonderful set of quirky kids in a garage band all coping with what to do when high school pushes them into the real world, then GIG is the book for you.